The Detroit Mercy Indian Student Association earlier this month invited students and faculty to join them in celebrating Diwali. Known as the festival of lights, the five-day celebration is one of the most significant in Indian culture. The festival is celebrated by Hindus, Sikhs and Jains for a variety of reasons, although the main theme which runs throughout is the triumph of light over darkness and good over evil. People decorate their house with candles and colorful lights and huge firework displays are held while families feast and share gifts. 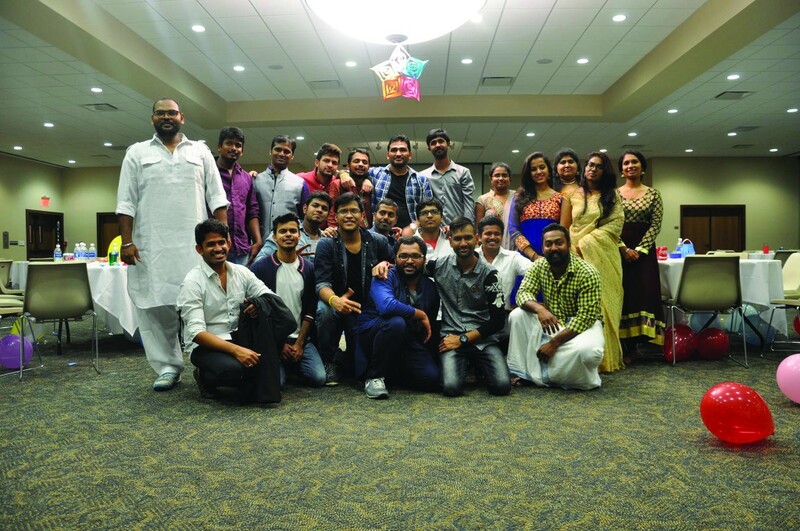 The festival usually falls between the middle of October and the middle of November, at University of Detroit Mercy the Indian Student Association held their festival on Nov. 2 in the ballroom. They had beautiful colors everywhere hanging form the window to the walls. Tables were decorated with colorful tablecloths and there was candy, candles and drinks including chai tea. The food included samosa, chili chicken and a number of other dishes. Members started the program with a prayer then went into dancing, singing and playing musical chairs. Sophomore Kyri Jackson said she love the dances and trying different food and she plans on coming back next year with more of her friends. “I had a lot of fun learning about culture that I know nothing about,” Jackson said. Jhayla Mosley who is a junior and a new member in the Indian Student Association said the reason she joined is that she loves the culture. Anna Rose Periyappurathu who is a senior and a member of the organization said that the organization started last year and they have 30 to 40 people. She expected a big outcome at this festival and said that’s what they got. “Anybody can join the Indian Student Association we have people who are not Indian, if they want to join they just got to let me know or the board,” she said.